Posted on 10 January 2015. In an almost surprise launch for many, the company unveiled its new flagship store at Farara Plaza in Brades, with an attractive incentive to subscribers of its cable services. This saw hundreds of clients waiting in lines to claim their free smartphone with the purchase of a SIM card for the price of $20.00. For clients unfamiliar with how to use a smartphone, a short video presentation was delivered by sales representatives. 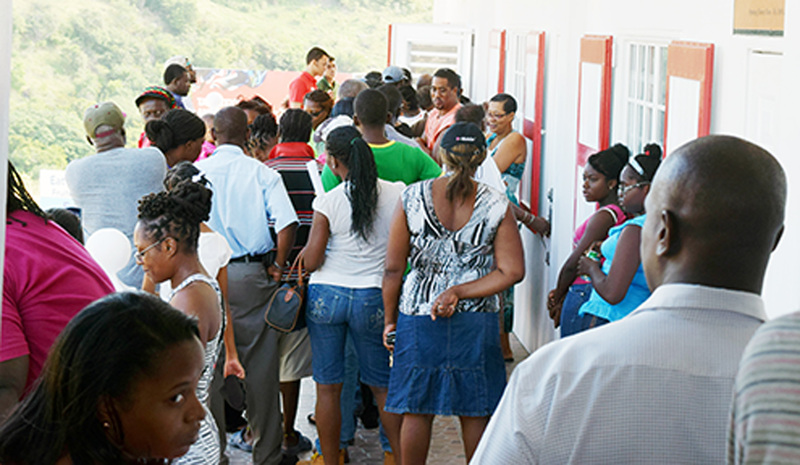 While officials expressed surprise at the large turnout, local manager Mrs. Petronella Browne said the presentations will be offered as long as they were necessary to help customers feel comfortable with the features which were now at their fingertips. Honourable Minister Claude Hogan speaking in place of the Premier who was at the time welcoming Antigua’s Prime Minister to the island, said at the opening he was very impressed with the speed and work ethic of the people involved in bringing Digicel into the market in three months. He commended the Montserrat Information and Communications Authority (MICA) which has responsibility for spectrum management for designing the strategy which enabled Digicel to get into the market within a short space of time. He noted that telecommunications was now critical to human development and this entry brought Montserrat closer to creating call centres and other technology-based ventures which will positively impact the island’s economy. 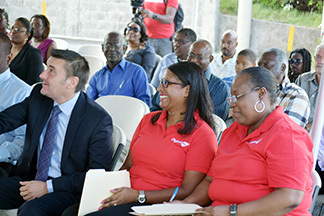 Honourable Minister of Telecommunications Works and Labour Paul Lewis said the Digicel launch signaled a “win for Montserrat” and commended the company for “braving the way into the market. If competition means that the consumers will benefit then I will back it 200%.” The Minister did the honours of cutting the big, red ribbon to open the doors to the already large crowd waiting after the brief opening ceremony which took place in front of the Government House entrance. According to Corcoran, the group acquired Caribbean Cable Communications (CCC) in November of 2013, and is giving a landmark offer of a FREE DL700 Smartphone to all CCC customers once they sign up as a new Digicel customer. For customers who activate a Digicel 4G data plan, the telecommunications company is also giving four-times the data, with prices starting as low as $2. As a lead in price, for a limited time, data that was 30MB will be 120MB. The day also included a carnival-infused motorcade from Salem to Lookout which incorporated the unique sights, sounds and culture of Montserrat. The recently crowned Ms. Montserrat, 2013/2014, Tazia Briscoe -Jarrett also a member of the lovely Digi-Girls team, helped to bring the vibes to an already electric atmosphere. 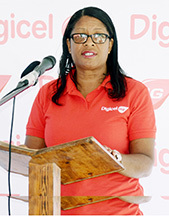 Digicel acquired Caribbean Cable Communications in November 2013 as part of its push to diversify its offerings in the telecommunications market. The Telecom giant boasts that, “Apart from being a leading global communications provider whose operations, in just 13 years has amassed a total investment of over US$5 billion worldwide, Digicel is also a good corporate citizen.